Great Location right off Mountain Parkway's New Exit to Goff's Corner/Trapp area! Perfect for New Store/Business. 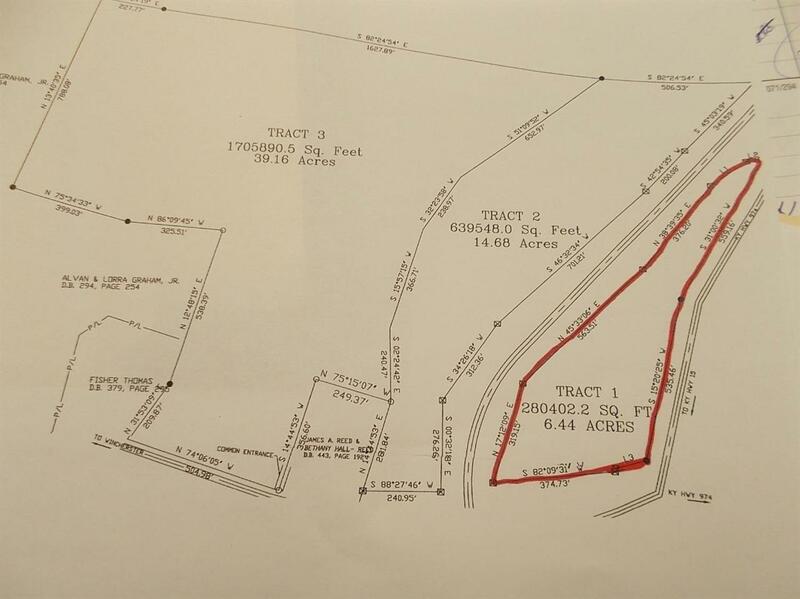 Lot of Possibilities for this nice Tract of 6.44 Acres! Additional Acreage can be purchased separately. Listing provided courtesy of Brenda Murphy of Murphy Realty Group. Listing information © 2019 LBAR Multiple Listing Service. All rights reserved.